W.T.C. 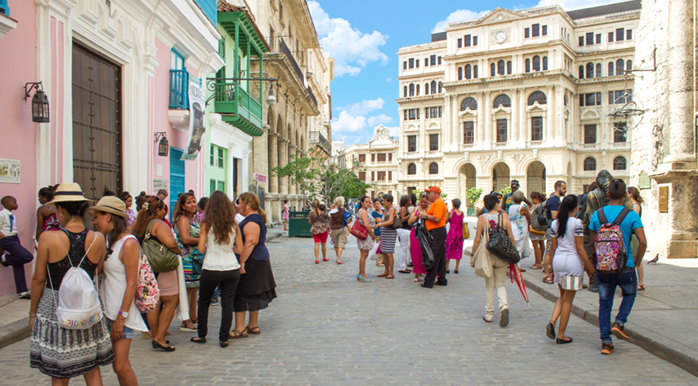 People-to-People Tours allow U.S. citizens to travel to Cuba and participate in unprecedented cultural experiences and exchanges providing direct contact with the Cuban people to learn more about them and their culture, meanwhile allowing the Cuban people to learn about the American way of life. This highly rewarding educational experience allows the travelers to directly engage the Cuban people. While activities focus on education and cultural exchange, there are diverse sightseeing opportunities within your itinerary. People-to-People is not only a legal way for Americans to travel to Cuba, but it is a new way of traveling. Most Travelers tell us that their favorite Cuba Travel experiences stem from the special and intimate connections they establish with the local residents during their tours. As a traveler with WTC you will discover Cuba through its people and culture. This new access provided by the major changes implemented by the U.S. government towards relations with Cuba allows you as a traveler to get to know the extraordinary people of Cuba. You will be inspired by their stories as well as they will be by yours. WTC will bring you into the people’s homes and fascinating lives allowing you to walk away with memories to cherish for years to come. On our tours we will take you to meet people that make the country special. You will have an opportunity to meet with professors and new business owners known as “Cuenta Propistas” Entrepreneurs that are bringing new life into the Cuban economy. You will have opportunities to participate in discussions with cuban officials, journalists, experts in architecture and economists.